In today’s round up of new iOS 7 compatible Cydia tweaks we have got some really interesting hacks that make useful changes to stock apps and how different parts of iOS work. Today’s round up features Aria that changes the Music.app, SafeHouse that changes how passcode lock works, VibCall that brings a missing feature to the phone app and several more. Read on to see what these tweaks do and how you can get them. The new Aria tweak for iOS 7 devices brings new features to the stock music while fixing some of its biggest annoyances. 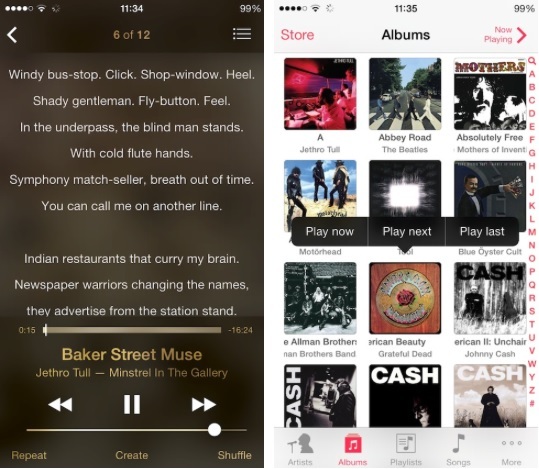 The tweak adds a pop up menu for queuing that allows users to hold down on a song to get play, next and last options. It also adds a nice grid feature to the app that makes it capable of displaying albums and artists in the form of a grid. The endless playing option makes the app start shuffling songs when a playlist ends. That’s not all as the Aria tweak also adds some visual enhancements to the stock app as well that make the experience of using it better. You can download Aria from Cydia for $1.99. When you are done making the stock app better with Aria try the BetterLS tweak to do the same for the lockscreen. This tweak allows users to hide the album art that is displayed when any song is playing, hide music controls, change the position of music controls, hide or improve grabbers, show time in the status bar and more. BetterLS has a number of features that would normally require you to install multiple tweaks from the store. You can get BetterLS tweak from Cydia’s Bigboss repo for $1.50. Have you ever noticed that when you try to increase or decrease the screen brightness through the Control Center it becomes hard to see the real brightness level. ControlUndim fixes that problem by ‘undiming’ the background when you slide to increase or decrease the brightness. It is available in Cydia for free from BigBoss. PlanBe QuickAdd tweak is a simple add-on for the PlanBe app that allows users to quickly add notes to the app using any Activator gesture of their choice. It is available in Cydia for free through the BigBoss repo. The SafeHouse tweak is a great hack for those who use passcode lock on their device. When enabled it automatically disables the passcode lock whenever you connect to the home WiFi network. 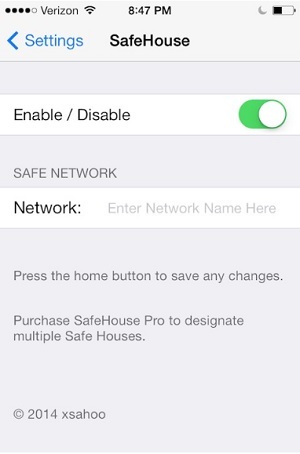 The free version of the SafeHouse tweak only supports 1 WiFi network but if you upgrade to SafeHouse Pro then you can add up to 5 ‘safe houses’. You can download this tweak from Cydia for free. 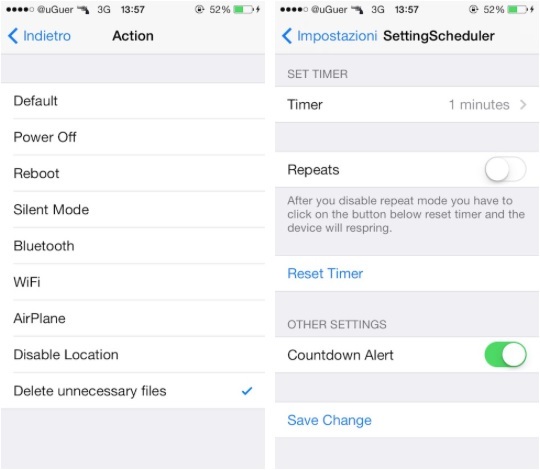 SetScheduler tweak allows users to set a timer and make the device perform certain set of tasks when the time runs out. The tasks include turning off WiFi, AirPlane mode, reboot, putting it into silent mode, power off, disabling location, deleting unnecessary files and more. You can get it from Cydia for $3.99. VibCall is a useful tweak that makes the iPhone vibrate whenever your outgoing call gets answered. With this tweak installed you don’t have to hold your phone to your ear until someone picks up the phone. You can just hold the phone in your hand and pick up after the vibration. It adds a very convenient feature to iOS 7 that should have been a part of the Phone app by default. You can get this tweak from Cydia for free.